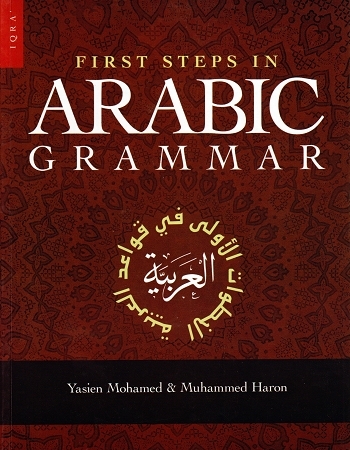 First Steps in Arabic Grammar Part One, is a grammar manual textbook, written and field tested by two South African professors of Arabic. It is written in simple language and rules of grammar gradually explained in a lucid language so that both young students and adult learners can understand and follow it without much difficulty. 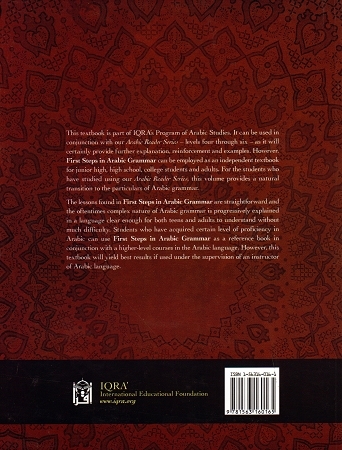 This book is a part of IQRA's Program of Arabic Studies, but it can be followed as an independent textbook an Arabic grammar for junior high, high school, college students and adults. 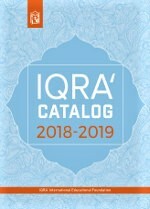 For the students who have studied IQRA' Arabic Reader series, this volume provides a natural transition to a formal introduction to Arabic grammar! ??????? ?????? ?? ????? ????? ??????? ????? ?????? ?? ?????? ??????? ??????? ???????? ????????? ???????? ?? ??? ????? ?? ?????? ???? ??????? ?? ????? ???????. ?? ????? ???? ????? ?????? ????? ????? ???? ??????? ?? ??? ????? ???? ???? ??? ?? ?????? ?????? ?????????? ?????? ??? ???????? ??? ????? ?????. ??? ?????? ?? ??? ?? ?????? ???????? ??????? ?? ??????? ???? ???? ?????? ????? ????? ?????? ????? ??????? ?????? ???????? ????????? ????? ???????? ???????. ??????? ?????? ????? ????? ????? "????" ?????? ??????? ???? ??? ?????? ??????? ?????? ??? ????? ????? ?????? ????? ??????? !